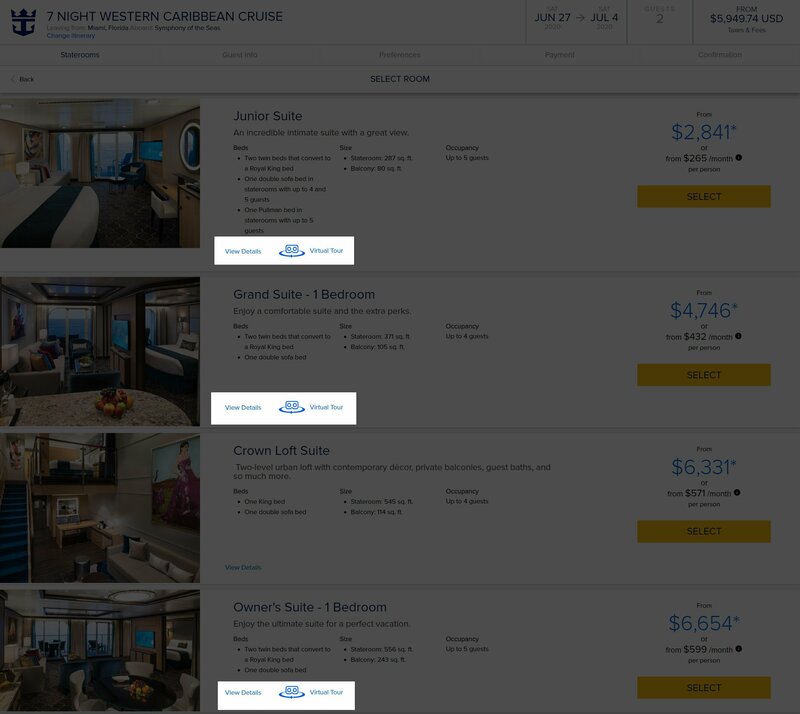 Royal Caribbean is introducing a new bid-based stateroom upgrade program, known as RoyalUp. RoyalUp begins on November 28, 2018. Guests will receive an email if their sailing is eligible and they will have the opportunity to browse through staterooms available for upgrade on their sailing. They will select the dollar amount they are willing to pay for the upgrade and submit their bid. The RoyalUp offer amount is per person for the entire duration of the cruise. Offers are based on two occupants per stateroom - only the first and second guest will be charged. 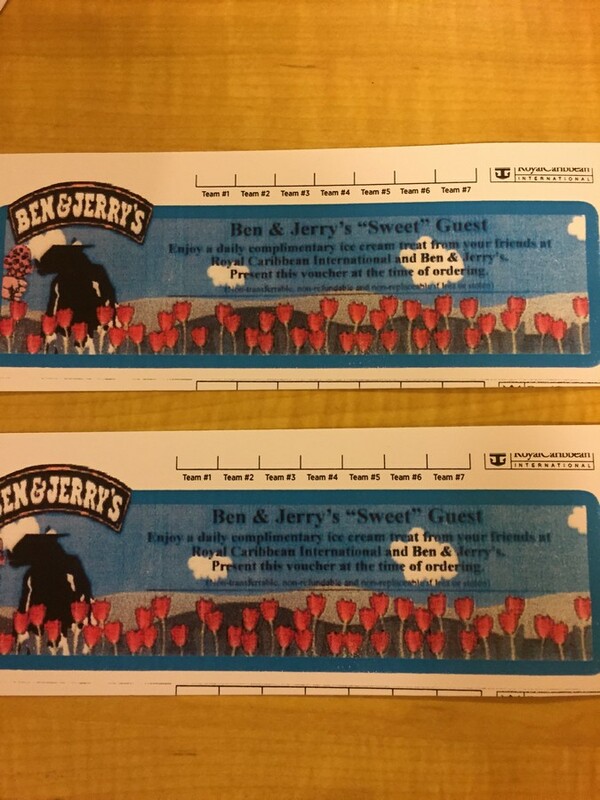 If there are more than 2 guests in the reservation (between 2 and 5 passengers), the offer amount submitted will be per guest but only for the first and second guest on the reservation. Guests cannot choose the location or specific features of the upgraded cabin, as it depends on availability. 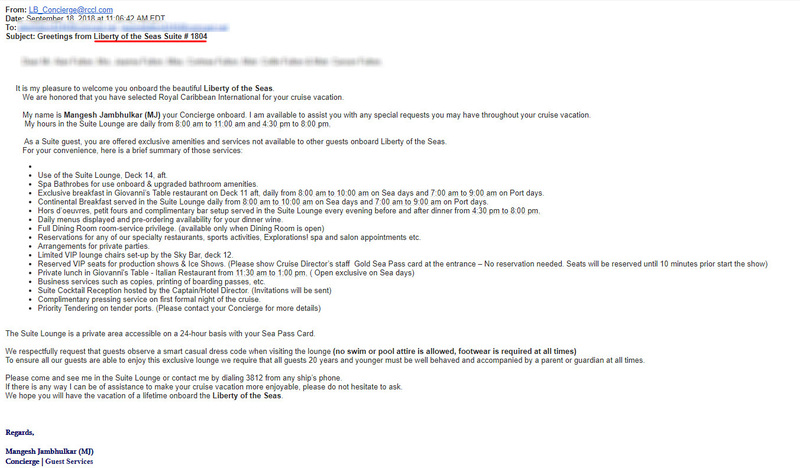 In terms of groups, Royal Caribbean cannot guarantee that all reservations traveling together will be upgraded. 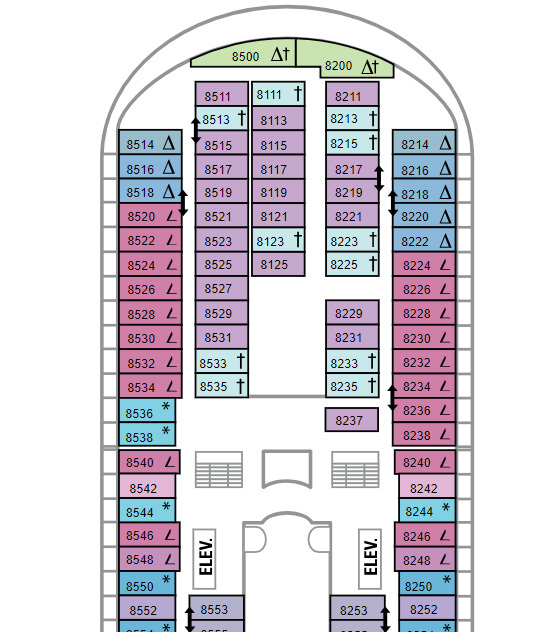 Under the circumstance that all reservations are upgraded, Royal Caribbean cannot guarantee that all the upgraded cabins will be close together. Guests can make bids across multiple categories to increase your chances of having an offer accepted. If using a travel agent, they can handle the entire bidding process for you. Upgrade bids can be accepted anytime from the moment it is submitted up until 2 days prior to voyage departure. You will receive an email notifying you of the accepted offer. Guests can modify or cancel the offer up until 2 days prior to departure, provided that the offer has not already been accepted by RCI and provided their credit card has not been charged. What do you think of this new offer? Will you be using it? Share your thoughts in the comments. 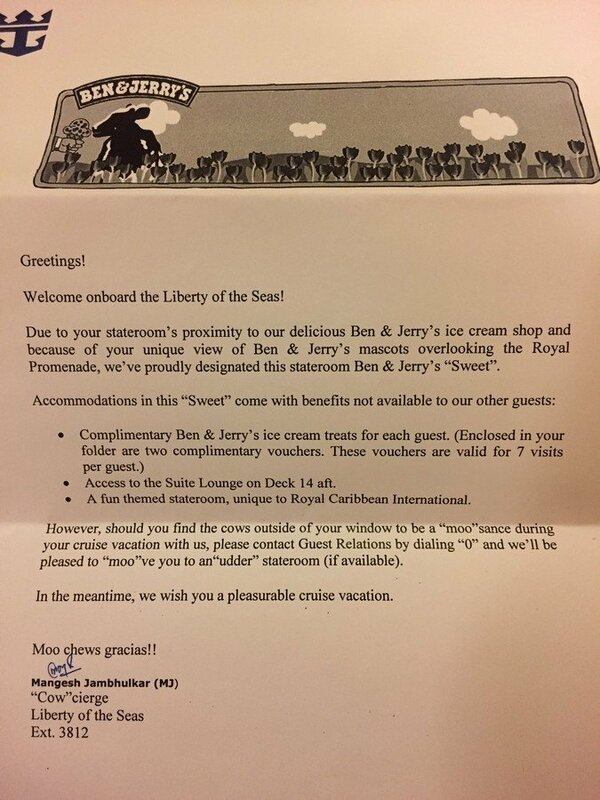 If you are looking for a fun and very different kind of stateroom, there is one on Liberty of the Seas that is a coveted choice among veteran cruisers (especially those that like ice cream). 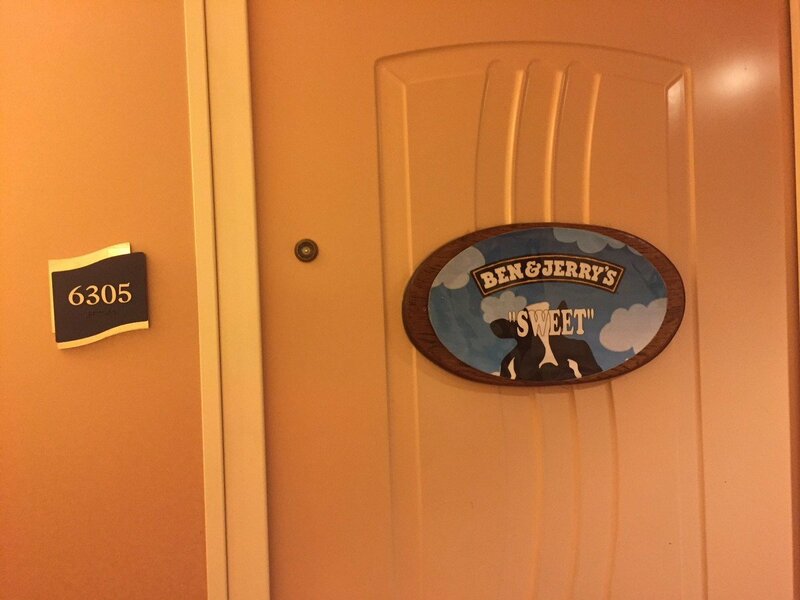 On Liberty of the Seas, there is a specific Promenade stateroom known as the Ben & Jerry "Sweet". Stateroom 6305 is actually considered a suite by Royal Caribbean despite it being a Promenade room. 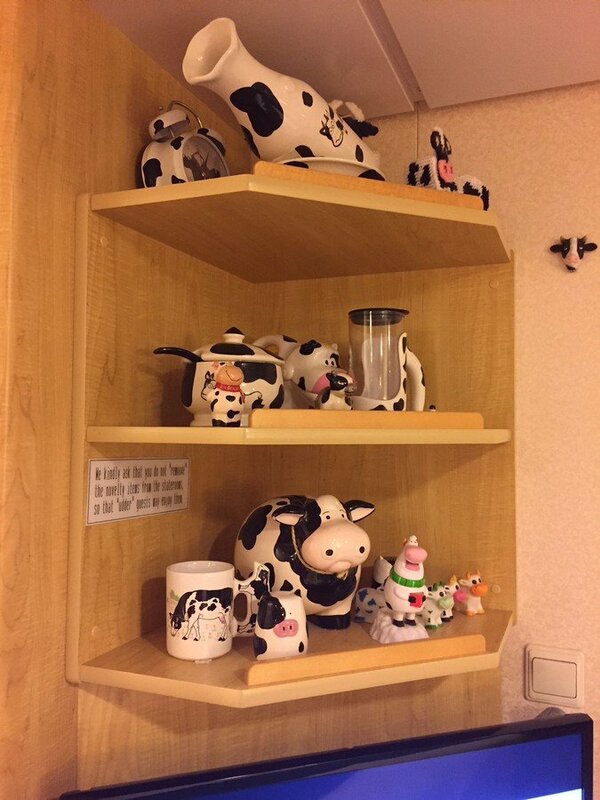 The reason is because this particular room is blocked by the signage for Ben & Jerry's ice cream directly below the room. Besides the cute design, the room also has its own list of special benefits, which make the room highly desirable. 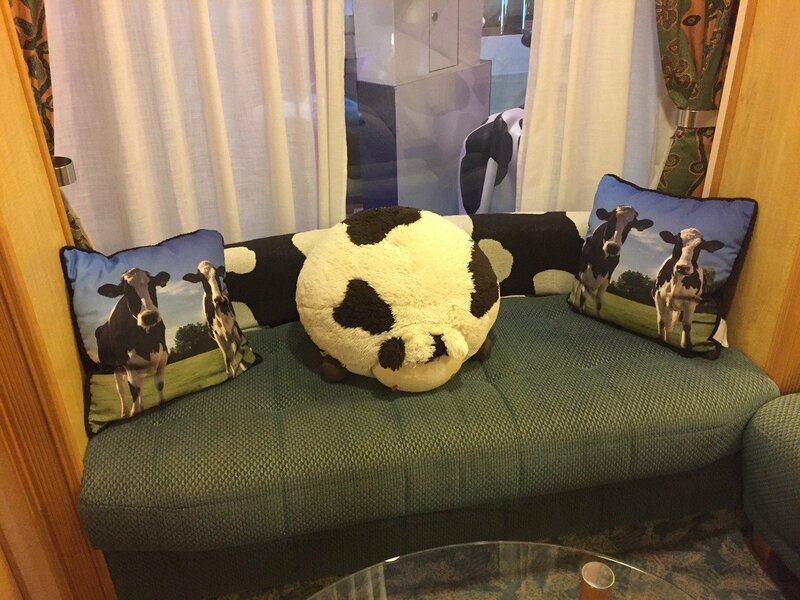 Without a doubt, the complimentary ice cream and concierge lounge access make this room a great deal. 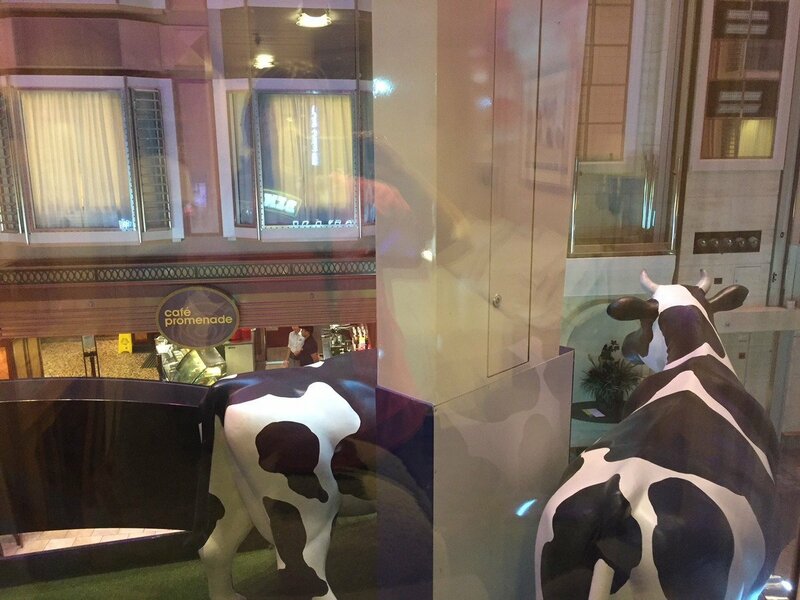 Usually, concierge access is limited to guests staying in a suite (or high up Crown and Anchor members). Sister ships Freedom of the Seas and Independence of the Seas also offer this special kind of room. 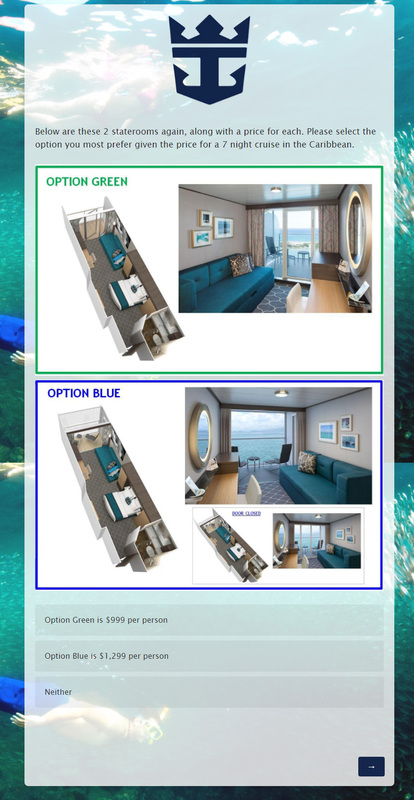 Guests sailing in an Ocean View Panoramic Suite (category VP) will now be entitled to the same suite benefits guests sailing in a Grand Suite or higher category stateroom enjoy. 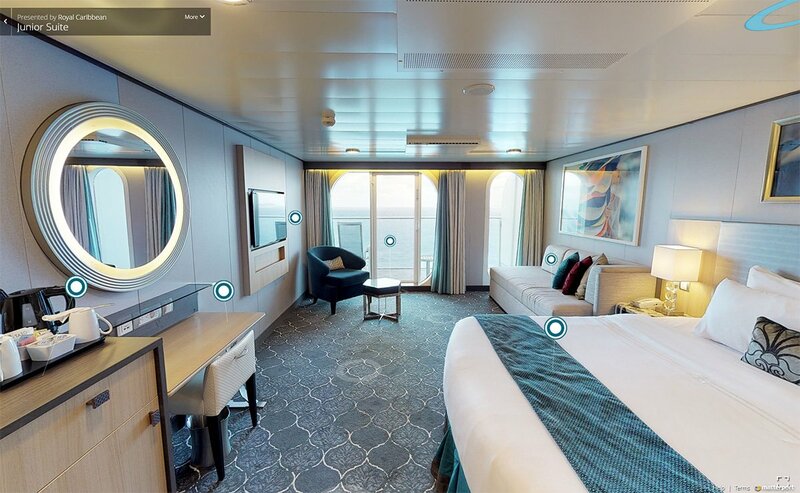 A few Royal Caribbean Blog readers have shared they have received indications from Royal Caribbean that their previously booked Panoramic Suite rooms will receive full suite benefits. 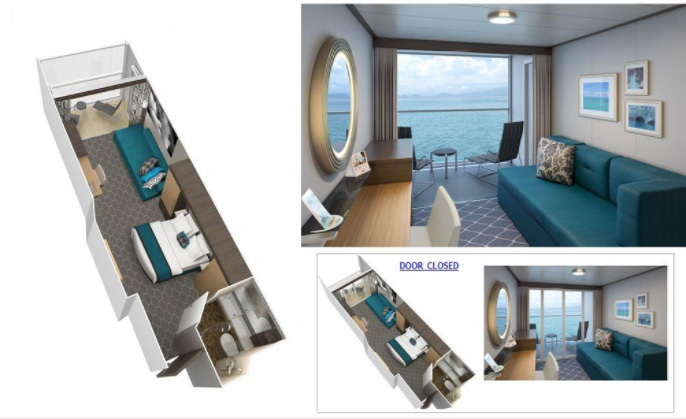 Prior to this change, the Panoramic Suite staterooms had the equivalent benefits of a Junior Suite, but with this change, guests in these sort of rooms will now get more benefits. Panoramic Suites were added to Voyager and Freedom class ships in the past few years. Most of these rooms are categorized as Spacious Panoramic Ocean View Stateroom (category 1L), but the Ocean View Panoramic Suite offer more space and are the rooms that qualify for these upgraded benefits. In addition, the VO Class stateroom on Grandeur of the Seas will receive benefits equivalent to Grand Suites. 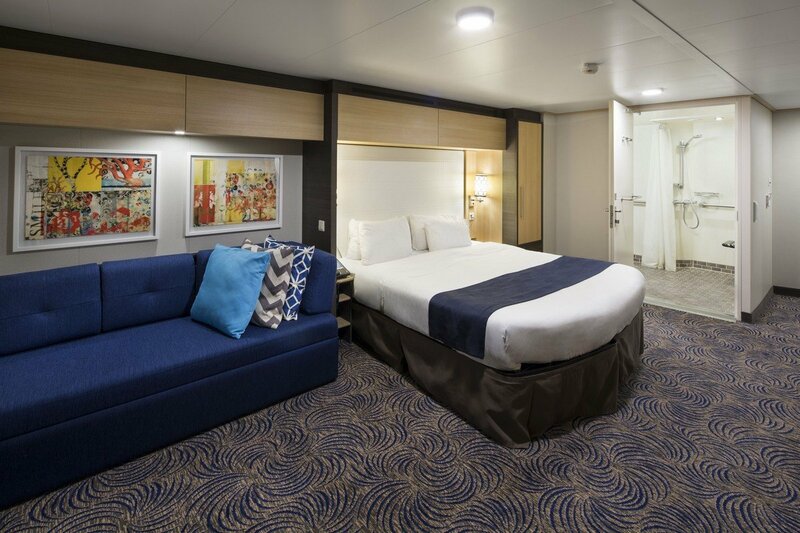 Royal Caribbean announced to travel agents that it will expand the amount of staterooms across the fleet of ships that offer a capacity of three guests per room with the addition of sofa beds. The cruise line hopes the change will greatly improve the availability of higher occupancy staterooms, particularly beneficial during peak vacation periods such as summer and holidays. 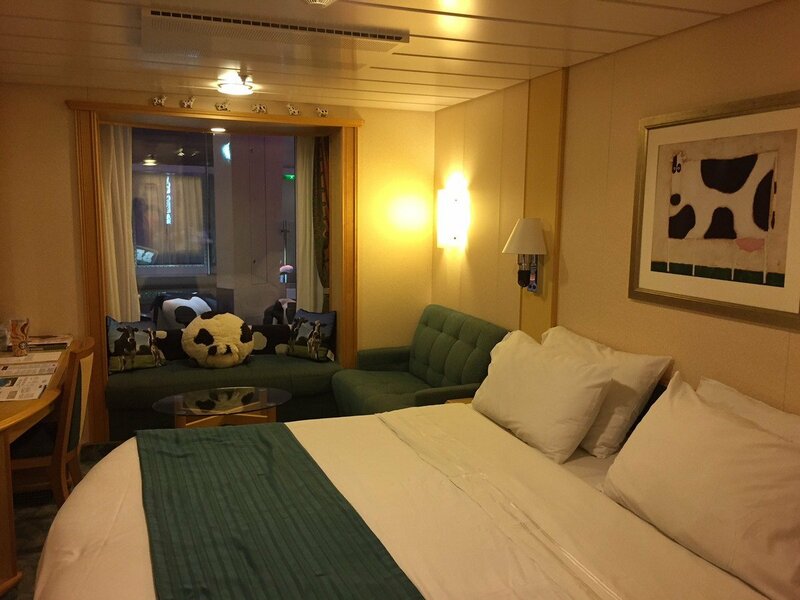 In order to identify which staterooms have these new sofa beds, deck plans will be updated with the introduction of a "partial triangle" as the symbol to denoate sofa bed staterooms. Digital deck plans were updated on-or-before June 17th, 2018; whereas printed versions of deck plans will be refreshed in advance of the next print run. 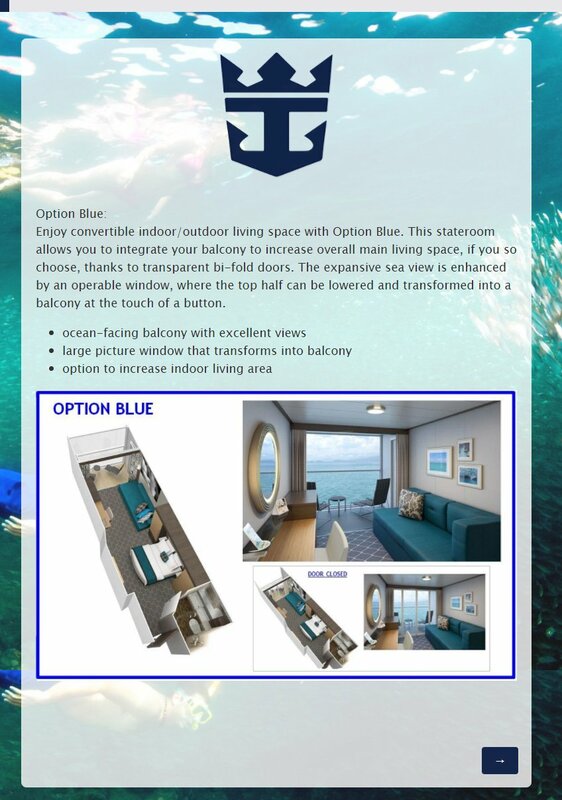 Despite the the addition of these sofa beds, Royal Caribbean says the maximum guest counts remain unchanged for each of the impacted ships, "This initiative simply allows the opportunity to further maximize the number of guests on each sailing, as well as offer additional triple staterooms for those in need of higher occupancy accommodations." File this change under the "You have to have cruised for a while to notice this change" category. Royal Caribbean has rolled out a new type of magnet designs for your stateroom attendant. 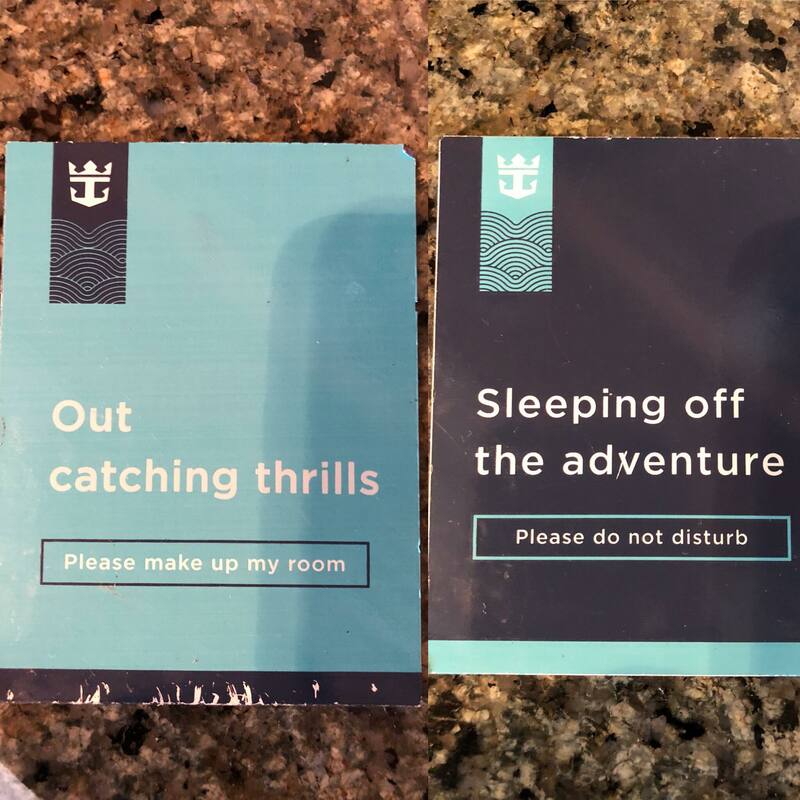 Royal Caribbean Blog reader Ken "Wolf" Jarvis spotted the new magnet design meant to inform your stateroom attendant if your room is ready to be made up or if you would prefer not to be disturbed. The magnets are currently on Adventure of the Seas, although others have noted the design is also on Majesty of the Seas, Harmony of the Seas and Symphony of the Seas.